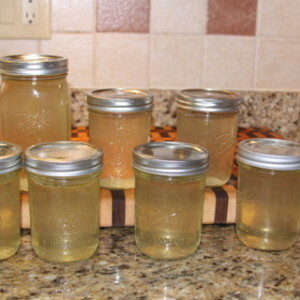 When you are boiling chicken for a recipe it is super easy to make your own chicken broth. 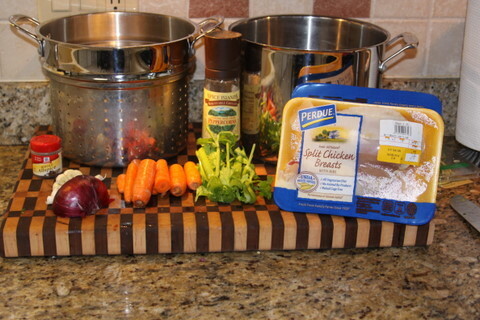 So I was making chicken salad so I through in a few more things to make some yummy chicken broth. Put everything in the pot (I use a pasta pot) cover with water and cook with a low boil for 30-45 mins. 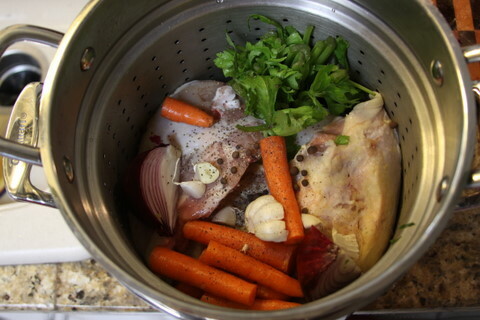 Take out chicken and veggies and strain and use the broth or freeze (this is not "canned" so it will need to be used or frozen). 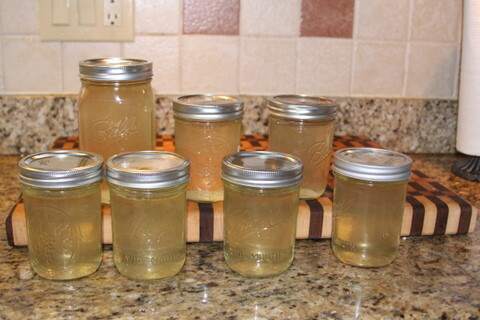 Super easy cheap and a great way to always have chicken broth on hand and you KNOW everything that is in it.